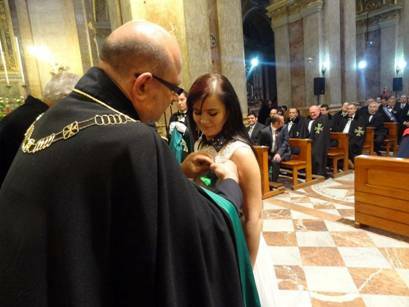 The Malta investiture of the Order has become something of an annual pilgrimage for the members and Grand Priories of the Order of Saint Lazarus. 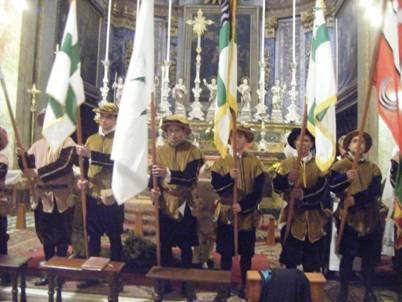 On the 18th April 2013, the 18th investiture held in the islands of Gozo was organised by the Grand Priories of Malta and Gozo. 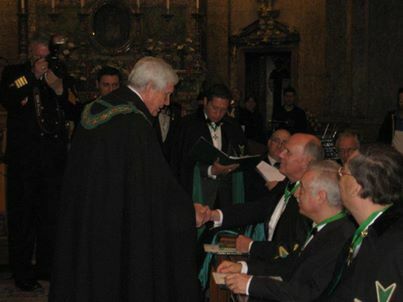 The investiture was presided by the Supreme Grand Prior of the Order, H.E. 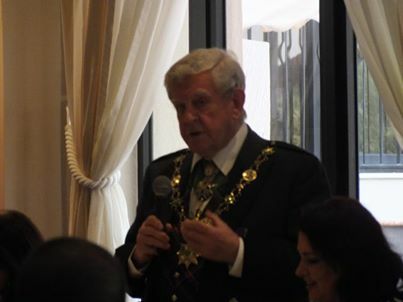 Richard Comyns of Ludston GCLJ GCMLJ who was aided and assisted by the Grand Secretary and Grand Chancellor of the Order. 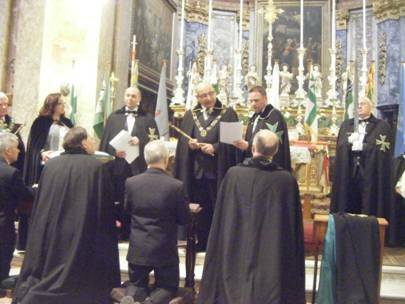 The religious aspect of the investiture was carried out by the Grand Prior Elect of the Grand Priory of Malta, H.E. The Most Reverend Monsignor Joseph Vella Gauci ECLJ CMLJ. 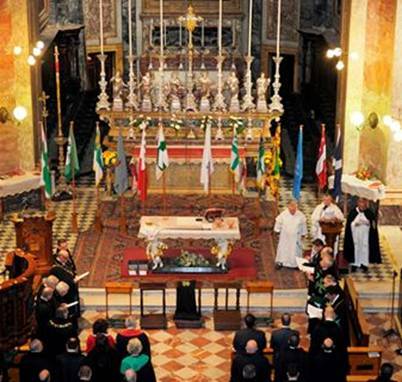 He was aided and assisted by the Chaplain of the Grand Priory of Gozo, the Reverend Michael Xuereb ChLJ and the Chaplain of the Special Rescue Group - Saint Lazarus Corps, the Reverend Mario Camilleri. 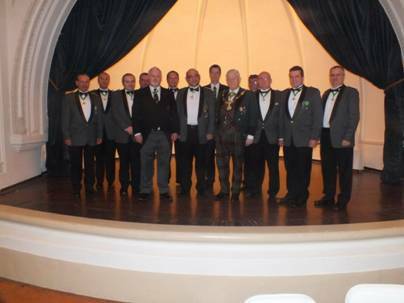 Deputations from various Grand Priories of the Order were present for the investiture, including deputations from Scotland, Germany, Hungary, Ukraine, the United States, the Union-Corps San Lazare International and others. 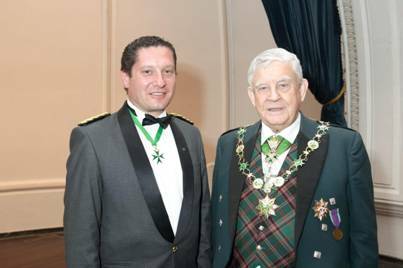 Guest deputations from sister chivalric organisations were also present in this, yet again, widely attended investiture. 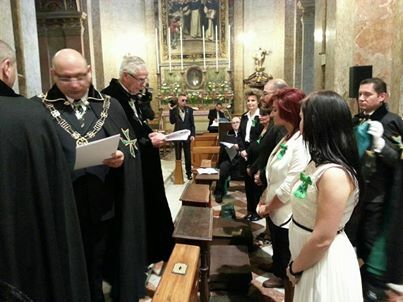 Some 38 postulants joined the Order and/or received promotions. 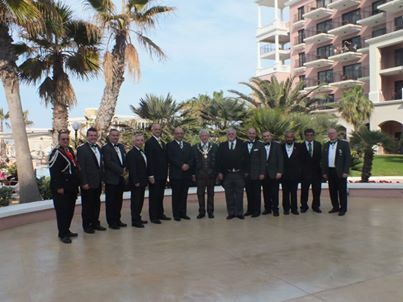 After the investiture, an investiture luncheon was held at the Westin Dragonara. 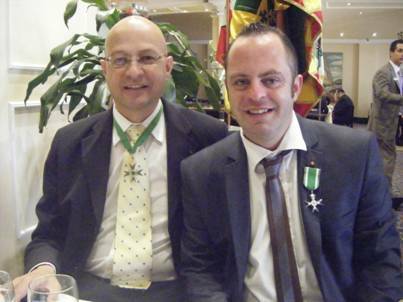 The investiture luncheon is traditionally also the Annual General Meeting of the Saint Lazarus Foundation, which is the charitable arm of the Grand Priories of Malta and Gozo, duly registered with the Commissioner of Voluntary Organisations. 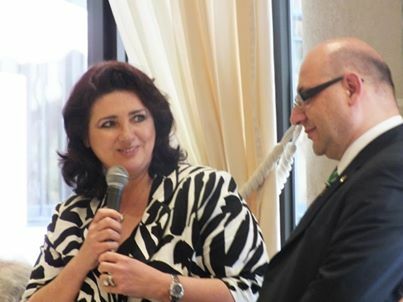 The Honorable Minister for Social Dialogue, Dr. Helena Dalli MP was the guest of honour of the event and praised and lauded the excellent Hospitaller and voluntary efforts of the Saint Lazarus Foundation ever since its foundation eleven years ago. The Supreme Grand Prior of the Order, amidst rapturous applause, then awarded the highest civilian accolade, that of Dame Grand Cross of Merit of the Companionate of Merit of the Order to the Honorable Minister for her work and efforts.